A coalition of pastors and housing advocates is calling on the University of Vermont to build more housing for students on campus. It’s not the first time that Vermont Interfaith Action and its housing allies, which include the Vermont Affordable Housing Coalition, have issued such a request. But the timing of this latest push — the group is holding a press conference today — is significant. 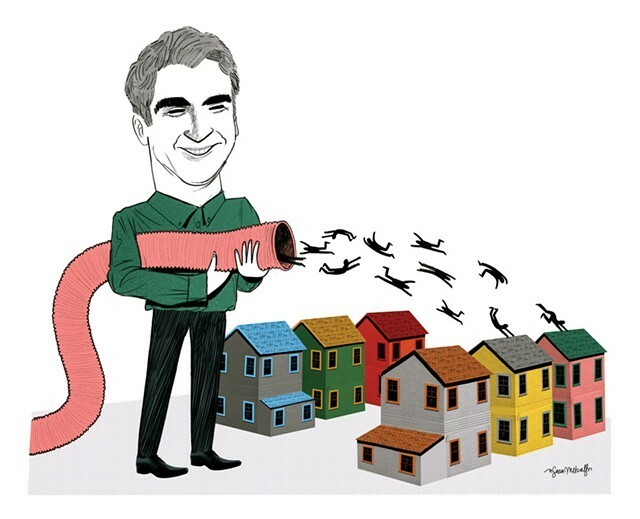 Mayor Miro Weinberger’s administration is renegotiating the city’s housing agreement with UVM. Under the previous agreement, signed in 2009 when Bob Kiss was mayor, UVM agreed to add another 563 beds on campus and to match any increase in students with the same increase in beds. And she noted that while Champlain College has committed to housing all of its students, UVM has resisted making such a pledge. Erhard Mahnke, coordinator of the Vermont Affordable Housing Coalition, agreed that the negotiations mark “a significant juncture.” Mahnke, a former city councilor, recalled that in response to a previous agreement reached in the early 1990s, UVM agreed to require sophomores — in addition to first-year students — to live on campus. City officials estimate there are about 3,000 students in Burlington neighborhoods — 2,200 of whom attend UVM. Studies have shown that the large presence of students, who often aren’t particularly price-sensitive, puts upward pressure on housing costs and alters the character of what previously were family neighborhoods. As the part of the city’s Housing Action Plan, the city council and the mayor have said they want to create an additional 1,500 beds — on and off campus — for UVM and Champlain students over five years. Kingsbury said they’ve been having “good discussions” but declined to go into greater detail.